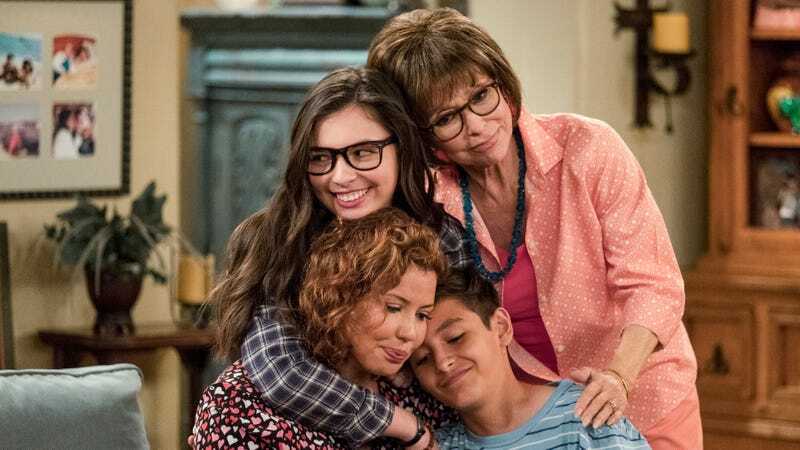 One Day At A Time has been the largely unsung success story of Netflix’s move into the world of more traditional multi-cam sitcom fare, telling warm, funny, and relateable family stories in the shadow of louder, flashier projects like Fuller House or the recently canceled Disjointed. (Not to mention doing so while boasting one of the most diverse and inclusive writers’ rooms in current TV, and an excellent, predominantly Latinx cast.) That quiet success hasn’t necessarily won the Normal Lear-produced show many favors with its streaming service home, though; although its second season arrived on the service back in January, fans of the series have been waiting for weeks now on word of whether it’ll be renewed for a third. You can read the full letter here; meanwhile, Calderón Kellett—who co-show-runs the series with Mike Royce—has expressed her gratitude to the Coalition (and the many other groups who have signed the letter) on Twitter, thanking them for raising the series’ profile as Netflix weighs its ultimate fate.